Edited with text by Leah Dickerman, Achim Borchardt-Hume. Text by Yve-Alain Bois, Andrianna Campbell, Hal Foster, Mark Godfrey, Hiroko Ikegami, Branden Joseph, Ed Kr?cma, Michelle Kuo, Pamela Lee, Emily Liebert, Richard Meyer, Helen Molesworth, Kate Nesin, Sarah Roberts, Catherine Wood. Edited with text by Leah Dickerman, Achim Borchardt-Hume. Text by Yve-Alain Bois, Andrianna Campbell, Hal Foster, Mark Godfrey, Hiroko Ikegami, Branden Joseph, Ed Krcma, Michelle Kuo, Pamela Lee, Emily Liebert, Richard Meyer, Helen Molesworth, Kate Nesin, Sarah Roberts, Catherine Wood. By Leah Dickerman. Text by Matthew Affron, Yve-Alain Bois, Masha Chlenova, Ester Coen, Christoph Cox, Hubert Damisch, Rachael DeLue, Hal Foster, Mark Franko, Matthew Gale, Peter Galison, Maria Gough, Jodi Hauptman, Gordon Hughes, David Joselit, Anton Kaes, David Lang, Susan Laxton, Philippe-Alain Michaud, Jaroslav Suchan, Lanka Tatersall, Michael R. Taylor. Edited by Leah Dickerman. Text by Anna Indych-Lopez. Edited by Leah Dickerman. Preface by Earl A. Powell. Text by Leah Dickerman, Dorothea Dietrich, Brigid Doherty, Sabine T. Kriebel, Janine Mileaf, Michael R. Taylor, Matthew S. Witkovsky. Introduction by Leah Dickerman. Essays by George Baker, Leah Dickerman, Uwe Fleckner, Hal Foster, T. J. Demos, Amelia Jones, David Joselit, Marcella Lista, Helen Molesworth, Arnauld Pierre, Jeffrey T. Schnapp and Matthew S. Witkovsky. The early 1950s, when Robert Rauschenberg launched his career, was the heyday of the heroic gestural painting of Abstract Expressionism. Rauschenberg challenged this tradition, inventing new interdisciplinary models of artistic practice that shaped the decades to come. Published in conjunction with this century's first retrospective of this defining figure in postwar art, this richly illustrated catalog reframes Rauschenberg’s widely celebrated Combines (1954–64) and silkscreen paintings (1962–64) in fresh ways. It also illuminates lesser-known periods within Rauschenberg’s career, including his work of the early 1950s and that from the late 1960s onward, now compelling and prescient to contemporary eyes. 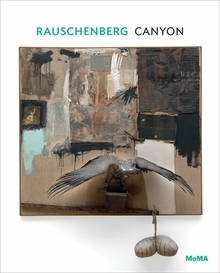 Sixteen short essays by eminent scholars and emerging new writers focus on specific moments throughout Rauschenberg’s career, exploring his creative production across an extraordinary range of media and following him on his travels around the globe. 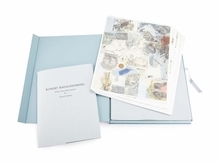 Integrating new scholarship, documentary imagery and archival materials, Robert Rauschenberg is the first comprehensive catalogue of the artist’s career in 20 years, an important contribution to American cultural and intellectual history and a necessary volume for anyone interested in contemporary art. Over the span of six decades, Robert Rauschenberg (1925–2008) worked in an astonishing range of mediums including painting, sculpture, prints, photography and performance. 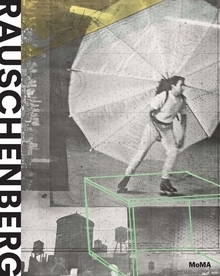 Working alone and in collaboration with artists, dancers, musicians and writers, Rauschenberg produced a vast body of work that set the course for art of the present day. 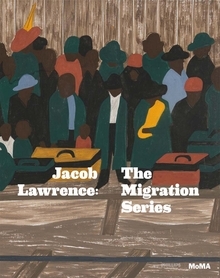 Paperback, 9.5 x 12 in. / 392 pgs / 375 color. Between 1958 and 1960, Robert Rauschenberg produced a series of 34 drawings, one for each Canto, or section, of Dante’s poem The Inferno (1308–1321). Together they are a virtual encyclopedia of modern-day imagery, made by transferring photographic reproductions from magazines or newspapers onto the drawing surface. “I think a picture is more like the real world when it’s made out of the real world,” Rauschenberg said. With additional imagery in pencil, crayon, pastel and collage, the drawings reflect Rauschenberg’s desire to infiltrate his art with the scenes and sounds of the surrounding world, a radical departure from the more transcendent ambitions of Abstract Expressionism. 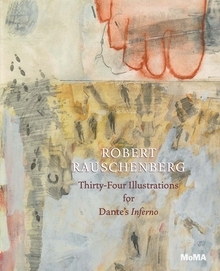 Published in conjunction with the first major retrospective on Rauschenberg’s career since the artist’s death in 2008, this book presents the complete set of 34 drawings, with an introduction by curator Leah Dickerman and newly commissioned poetry from Kevin Young and Robin Coste Lewis, each reflecting on a selection of drawings and their corresponding Cantos. Paperback, 8 x 10 in. / 104 pgs / 44 color. The early 1950s, when Robert Rauschenberg launched his career, was the heyday of the heroic gestural painting of Abstract Expressionism. Rauschenberg challenged this tradition, inventing new intermedia forms of art making that shaped the decades to come. Published in conjunction with the inaugural 21st-century retrospective of this defining figure, this book offers fresh perspectives on Rauschenberg’s widely celebrated Combines (1954–64) and silkscreen paintings (1962–64). It also illuminates lesser-known periods within Rauschenberg’s career, including his work of the early 1950s and that from the late 1960s onward, now compelling and prescient to contemporary eyes. Leah Dickerman is The Marlene Hess Curator of Painting and Sculpture, The Museum of Modern Art. Achim Borchardt-Hume is Director of Exhibitions, Tate Modern. Yve-Alain Bois is Professor of Art History, Institute for Advanced Study, Princeton University. Andrianna Campbell is a Doctoral Candidate, CUNY Graduate Center. Hal Foster is Townsend Martin, Class of 1917, Professor of Art and Archaeology, Princeton University. Mark Godfrey is Senior Curator, International Art (Europe and Americas), Tate Modern. Hiroko Ikegami is Associate Professor, Graduate School of Intercultural Studies, Kobe University. Branden Joseph is Frank Gallipoli Professor of Modern and Contemporary Art, Art History and Archaeology, Columbia University. Ed Krcma is Lecturer in Art History, University of East Anglia. Michelle Kuo is Editor in Chief, Artforum International Magazine. Pamela Lee is Jeanette and William Hayden Jones Professor in American Art and Culture, Stanford University. Emily Liebert is Curatorial Assistant, Department of Painting and Sculpture, The Museum of Modern Art. Richard Meyer is Robert and Ruth Halperin Professor in Art History, Stanford University. Helen Molesworth is Chief Curator, The Museum of Contemporary Art, Los Angeles. Kate Nesin is Associate Curator, Art Institute of Chicago. Sarah Roberts is Andrew W. Mellon Associate Curator of Painting and Sculpture, San Francisco Museum of Modern Art. Catherine Wood is Senior Curator, International Art (Performance). In the mid-1950s, declaring “there is no reason not to consider the world as a gigantic painting,” Robert Rauschenberg began a series of radical experiments with what he called “Combines,” a term he coined to describe works that fused cast-off items like quilts or rubber tires with traditional supports. “Canyon” (1959), one of the artist’s best-known Combines, is a large canvas affixed with paper, fabric, metal, personal photographs, wood, mirrors and one very striking object: a large stuffed bald eagle, wings outstretched, carrying a drooping pillow, and balanced upon a wooden plank jutting out from the canvas. “Canyon” is one of six Combines in MoMA’s collection, and a landmark work that helped to revolutionize art in the postwar period. An essay by curator Leah Dickerman explores the legacy of this extraordinary piece, and places it within a key period in Rauschenberg’s career. In 1912, in several European cities, a handful of artists--Vasily Kandinsky, Frantisek Kupka, Francis Picabia and Robert Delaunay--presented the first abstract pictures to the public. Inventing Abstraction, published to accompany an exhibition at The Museum of Modern Art, celebrates the centennial of this bold new type of artwork. 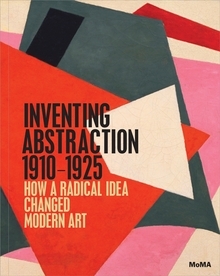 It traces the development of abstraction as it moved through a network of modern artists, from Marsden Hartley and Marcel Duchamp to Piet Mondrian and Kazimir Malevich, sweeping across nations and across media. This richly illustrated publication covers a wide range of artistic production--including paintings, drawings, books, sculptures, film, photography, sound poetry, atonal music and non-narrative dance--to draw a cross-media portrait of these watershed years. An introductory essay by Leah Dickerman, Curator in the Museum’s Department of Painting and Sculpture, is followed by focused studies of key groups of works, events and critical issues in abstraction’s early history by renowned scholars from a variety of fields. Hardcover, 9.5 x 12 in. 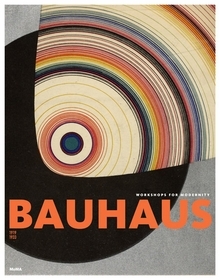 / 376 pgs / 446 color. In 1931, Diego Rivera was the subject of The Museum of Modern Art's second monographic exhibition, which set new attendance records in its five-week run. The Museum brought Rivera to New York six weeks before the show's opening and gave him on-site studio space. There he produced five “portable murals” --large blocks of frescoed plaster, slaked lime and wood that feature bold images drawn from Mexican subject matter and address themes of revolution and class inequity. After the opening, to great publicity, Rivera added three more murals, now taking on New York subjects through monumental images of the urban working class and the city during the Great Depression. Published in conjunction with an exhibition that brings together key works made for Rivera's 1931 show, this catalogue casts the artist as a highly cosmopolitan figure who traveled between Russia, Mexico and the United States and examines the intersection of artmaking and radical politics in the 1930s. Illustrated with reproductions of each panel as well as related paintings, drawings, prints and documentary photographs, the book's essays investigate the international politics of muralism, Rivera's history with MoMA, the iconography of the portable murals and technical aspects of the artist's working process. Diego Rivera (1886-1957) was a central figure in the development of Mexican muralism, an ambitious public art initiative intended to relay Mexico's ideals after the Revolution (1910-1920). A highly cosmopolitan artist, Rivera had spent many years in Europe before returning to Mexico in 1921, and in 1927 he traveled to the Soviet Union where he met Alfred Barr, the soon-to-be founding director of The Museum of Modern Art, New York. 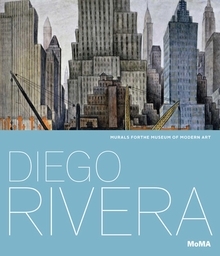 Rivera's artistic celebrity benefitted from major commissions in the United States, including murals for the Pacific Stock Exchange, the California School of Fine Arts in San Francisco, MoMA and the Detroit Institute of Arts. By the 1930s, he enjoyed an unrivaled status at the center of international debates about public art and politics..
Hardcover, 9 x 10.5 in. / 148 pgs / 110 color. Now available in paperback, this lavishly illustrated and astonishingly comprehensive volume stands as the definitive study of the influential but deliberately elusive international Dada movement of the early twentieth century. Organized according to the primary city centers where this shifting, quintessentially avant garde movement emerged, Dada: Zurich, Berlin, Hannover, Cologne, New York, Paris features the work of 40 key artists, both infamous and lesser-known, including Louis Aragon, Hans Arp, Hugo Ball, André Breton, Otto Dix, Marcel Duchamp, Hannah Höch, Man Ray, Tristan Tzara and Kurt Schwitters, to name just a few, in media spanning painting, sculpture, photography, collage, photomontage, prints and graphic work. Dynamically designed with an uncommon intelligence suited to the complexity of the movement itself, it contains hundreds of reproductions of works which, until the major traveling exhibition of 2005 and 2006 for which this book was originally produced, had for the most part never been seen in one place together. 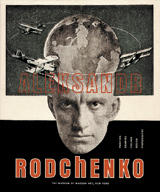 Documentary images, topical essays and an invaluable illustrated chronology of the movement make this volume uniquely essential, along with witty chronicles of events in each city center, a selected bibliography and biographies of each artist, accompanied by Dada-era photographs. 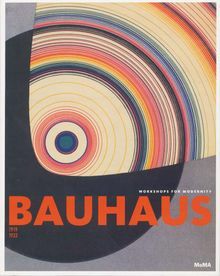 Published by D.A.P./The National Gallery of Art, Washington. This volume of 12 essays fills a broad gap in Modernist art history. 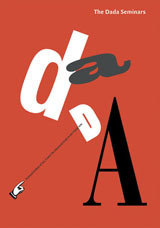 Taken together, these case studies on artists and concepts present Dada as a coherent movement with a set of operating principles. Among the “ tactics” elaborated are the hyperbolic mimicry of dominant social and linguistic conventions, the performance of gender and other aspects of identity, the usurpation of the modes of a new media culture and the marketplace, and the recycling of history and memory in a world traumatized by war. 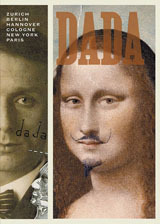 The Dada Seminars developed out of a series held by the Center for Advanced Study in the Visual Arts at the National Gallery of Art, in advance of 2005's major traveling exhibition on international Dada. Contributors include George Baker, T.J. Demos, Leah Dickerman, Uwe Fleckner, Hal Foster, Amelia Jones, David Joselit, Marcella Lista, Helen Molesworth, Arnauld Pierre, Jeffrey T. Schnapp and Matthew S. Witkovsky. Paperback, 7 x 10 in. / 320 pgs / 127 bw. This volume of 12 essays fills a broad gap in Modernist art history. 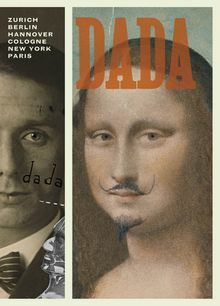 Taken together, these case studies on artists and concepts present Dada as a coherent movement with a set of operating principles. Among the “ tactics” elaborated are the hyperbolic mimicry of dominant social and linguistic conventions, the performance of gender and other aspects of identity, the usurpation of the modes of a new media culture and marketplace, and the recycling of history and memory as blasted in a world traumatized by war.The Dada Seminars developed out of a series of seminars held by the Center for Advanced Study in the Visual Arts at the National Gallery of Art, in advance of 2005's major traveling exhibition on international Dada. Contributors include George Baker, T.J. Demos, Leah Dickerman, Uwe Fleckner, Hal Foster, Amelia Jones, David Joselit, Marcella Lista, Helen Molesworth, Arnauld Pierre, Jeffrey T. Schnapp and Matthew S. Witkovsky. Hardcover, 7 x 10 in. / 320 pgs / 127 bw.